This winter, Hunter partners with Disney on a limited-edition collection of footwear and accessories to celebrate the launch of the film Mary Poppins Returns. 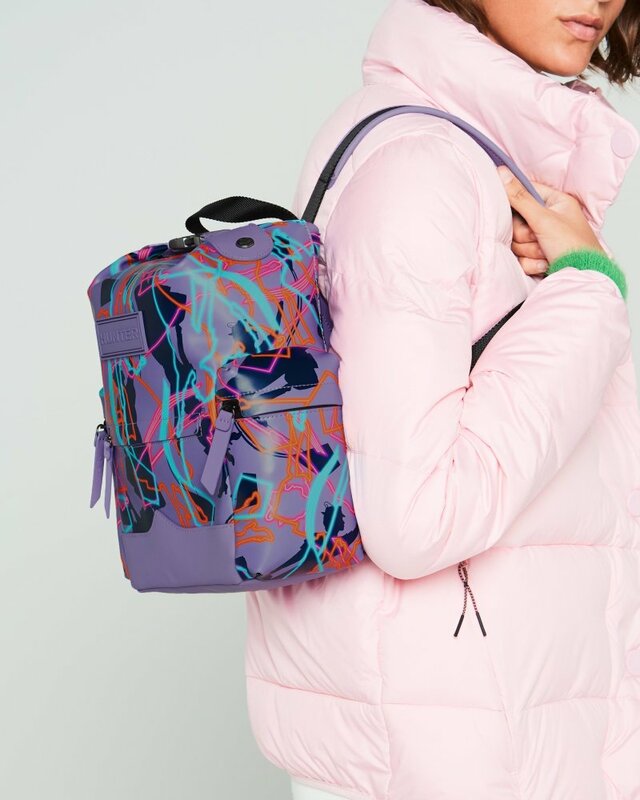 This practical, weatherproof backpack is reimagined with an exclusive camo print, featuring the iconic silhouette of Mary Poppins and utilising the tradtional camouflage colour palette. Crafted from water-resistant rubberized leather, the neat and compact body of the bag fits an 11" tablet and is secured with a parachute clip and zip at the top, while the moustache detail at the front references our Original Tall Wellington boot. A 7.5cm depth and 6L capacity ensures there is plenty of room for everyday essentials.